Celebrate your precious little one! Ridgetop Digital Shop has photo props and party decor to help your guest of honor feel adored. This order was perfect. Wonderful quality!! Great graphics, easy to download and cut. Thank you! 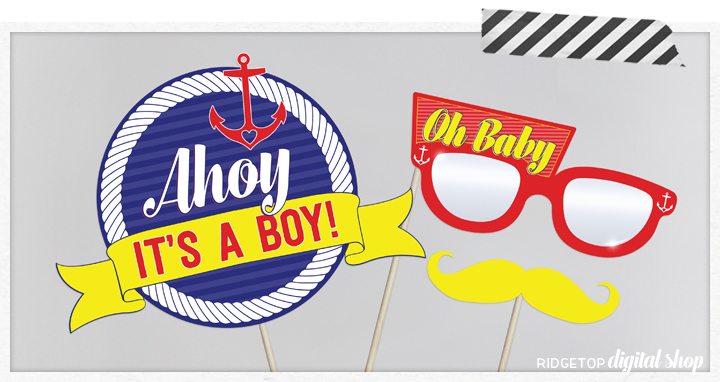 Went perfect with Nautical Baby Shower theme! High resolution & professional! Thank You!